Inside: Want to save more money each month? 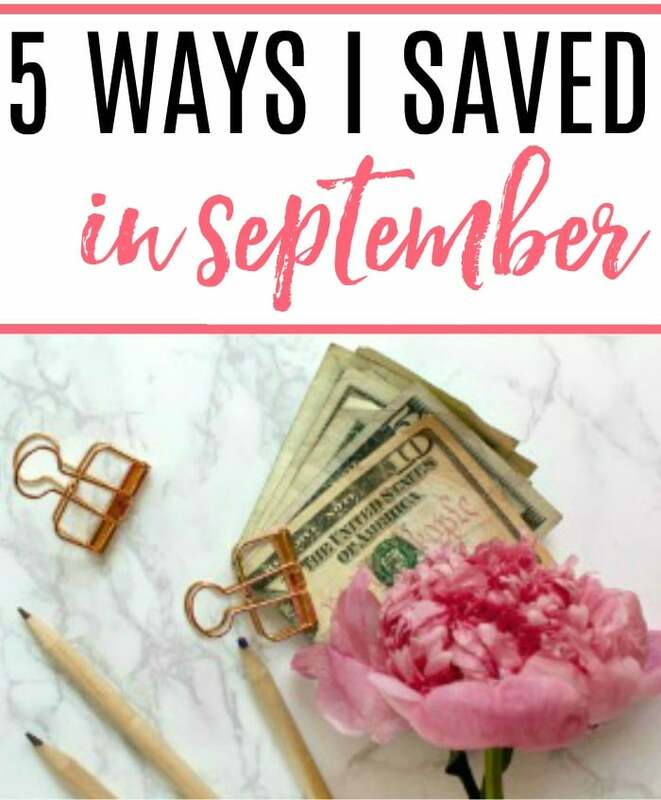 Check out the 5 ways I saved in September for some inspiration to save some extra money. Saving money can be easy and fun. Hello October! I am finally ready for some cooler weather. September just flew by for me. My son started back to swimming on his regular schedule which includes 3-4 early morning practices plus every day after school. We celebrated my son’s 17th birthday and we had relatives in town. I always like getting back to our regular schedule but I always have to be careful to stay on top of meal planning. If I don’t we get too busy and then I end up doing carry out instead of cooking. Despite the fact it was his birthday month we still found plenty of ways to save this month. Check out the ways I saved in September below. One of my favorite ways to save is by stocking up on the foods we eat when they are on sale. There were some Labor Day sales on ground beef and I picked up 10 pounds. I cooked up most of it in the crockpot and then froze it in 1/2 pound sections. It makes it easy for me to grab some pre-cooked ground beef out of the freezer for a quick meal. With my sons birthday, we received plenty of birthday coupons and freebies in the mail. We got $20 off $40 at one of our favorite restaurants. He also received free ice cream, shaved ice, sandwiches, and drinks. You can see a list of my favorite birthday freebies here. Recently I was cleaning out an old wallet and found a few gift cards and free coupons that I had forgotten about. I was excited to find them and use them but I know I need to be better about keeping track of the gift cards we get. I was so excited to have a yard sale this month. I am almost always busy during our neighborhood yard sale but this year I was free. I spend some time going through and decluttering the house. I didn’t have a lot of big stuff to sell at the yard sale but I ended up making about $60 in one morning. It was all on little $.25 stuff so it was nice to get a lot of stuff out of the house. For the first time ever I made some homemade laundry detergent. I have been wanting to do this for a while but wanted to make sure I found the perfect recipe. It is a lot cheaper than buying store-bought laundry detergent so I am able to save some money there. I am hoping to share the recipe soon. I am ready for fall and some new deals in October. What about you? What ways did you save in September?